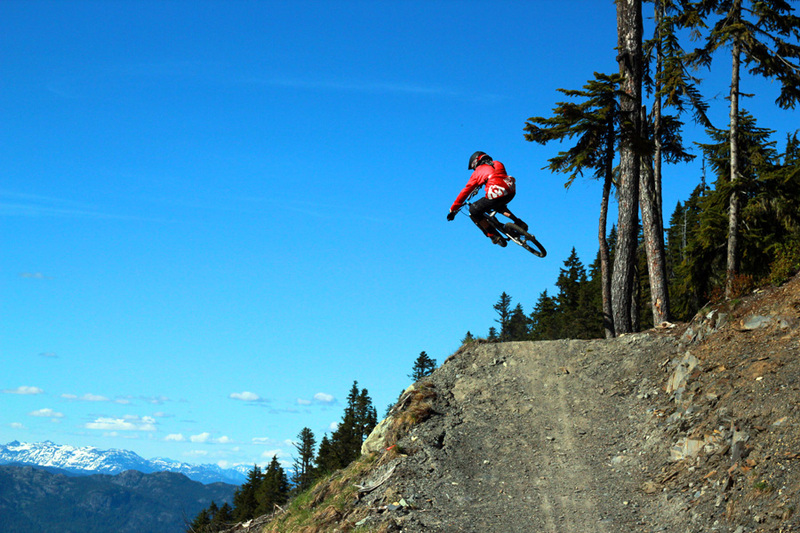 Binarybike: Whistler Pilgrimage 2012: Part 3 Actually Riding! 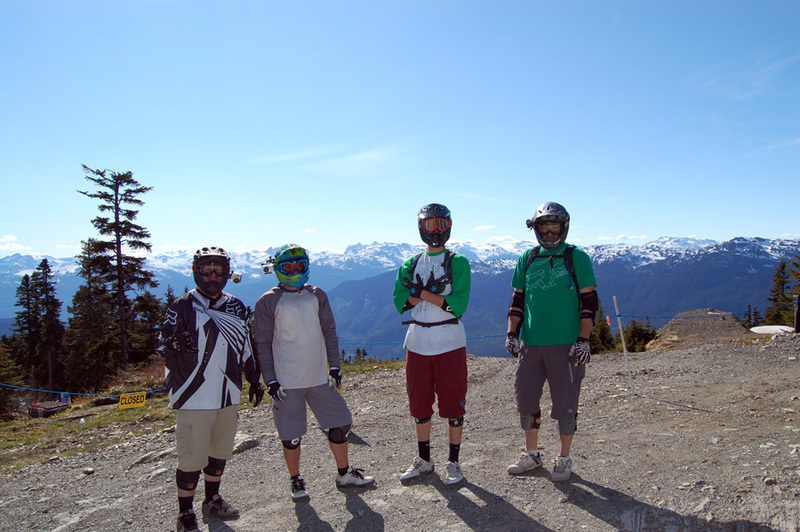 Whistler Pilgrimage 2012: Part 3 Actually Riding! 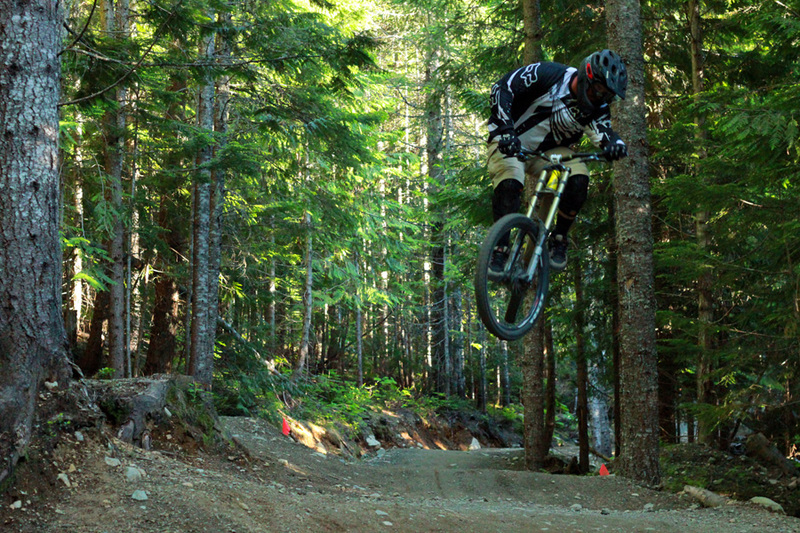 Be warned, we're not pro photogs and we didn't take a ton of riding pictures. 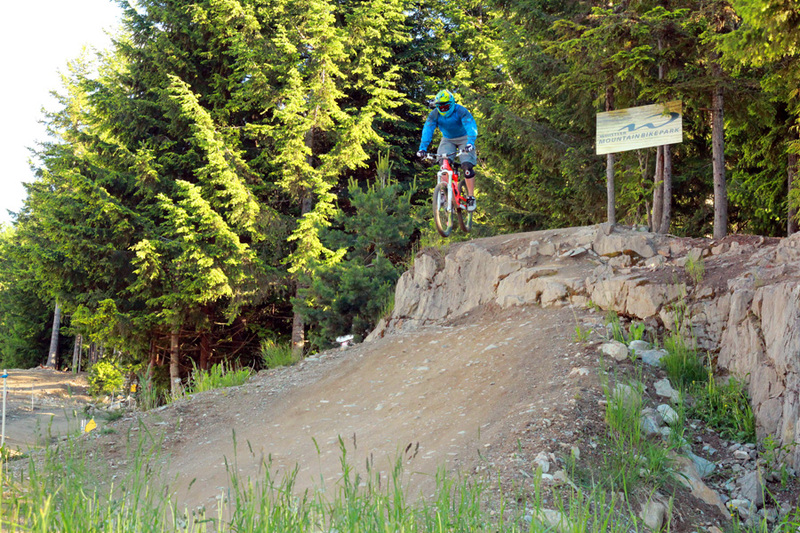 At Whistler, it's really, really easy to just ride. You never feel like stopping even when you're body starts begging you to. But we managed to bring the cameras along one morning and actually take some pictures of a few things. I know there are a lot of haters out there, but I have absolutely no problem getting a ride to the top. 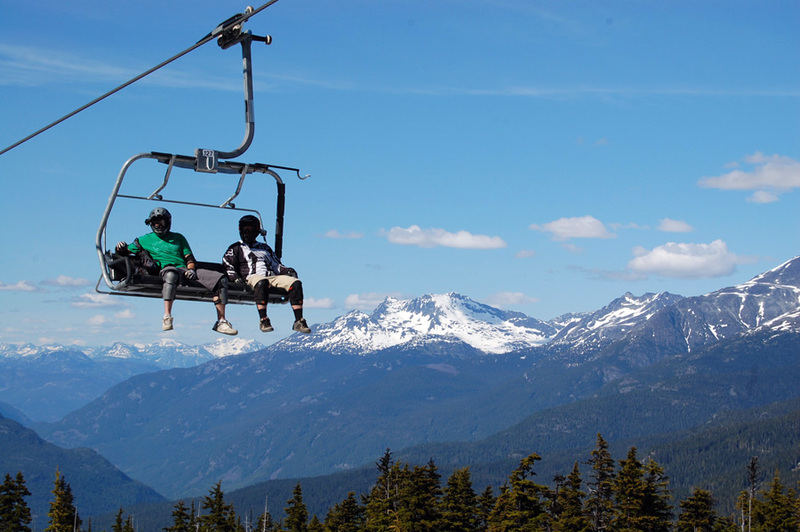 Adam and Wes take in the sights as they prepare their souls for drop-in. Mandatory shot from the top of the mountain. 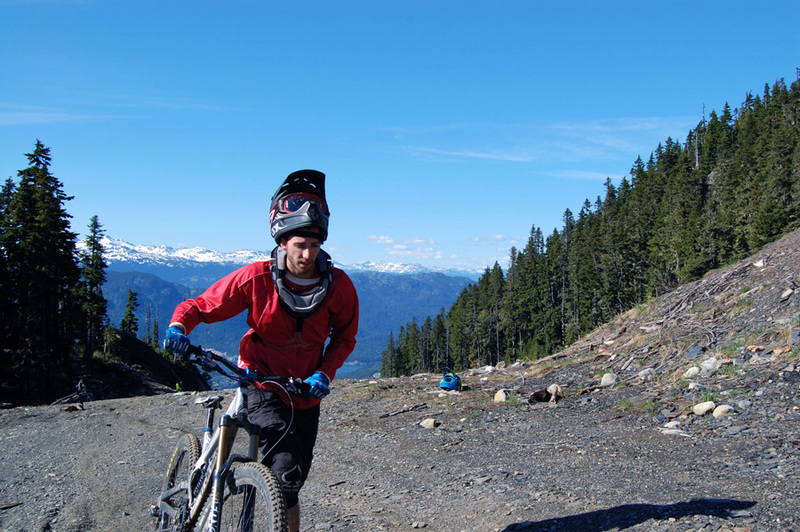 Riding the lower mountain is great, but it's another world when you go up Garbonzo. You start to get a sense of just how big this place really is. Still too much snow to ride all of Freight Train, which was a bit of a heart breaker. 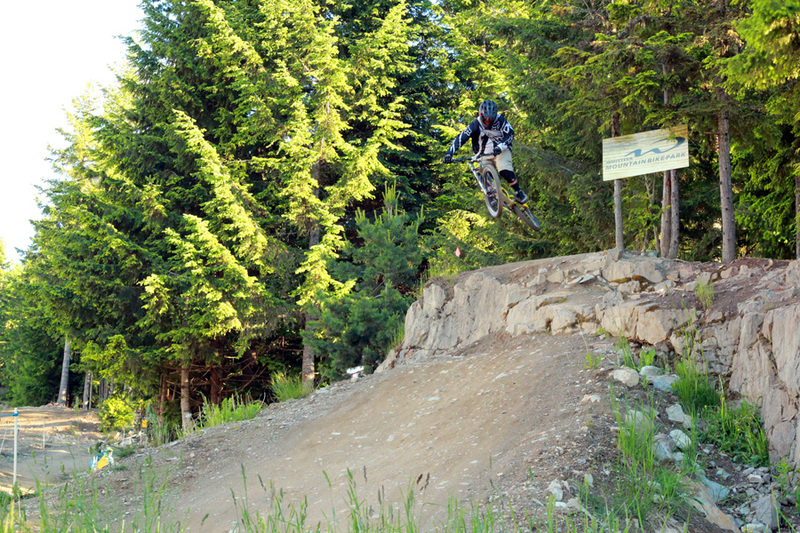 This is one of my favorite single jumps at Whistler. It sits between sections of trail, carved into a hill in the middle of a massive field of shale. You drop in from probably 75 yards up, hit the massive transition, and float as far as you dare, hipping slightly to the left. There are some awesome step-ups next to it as well. Making laps on the hip. 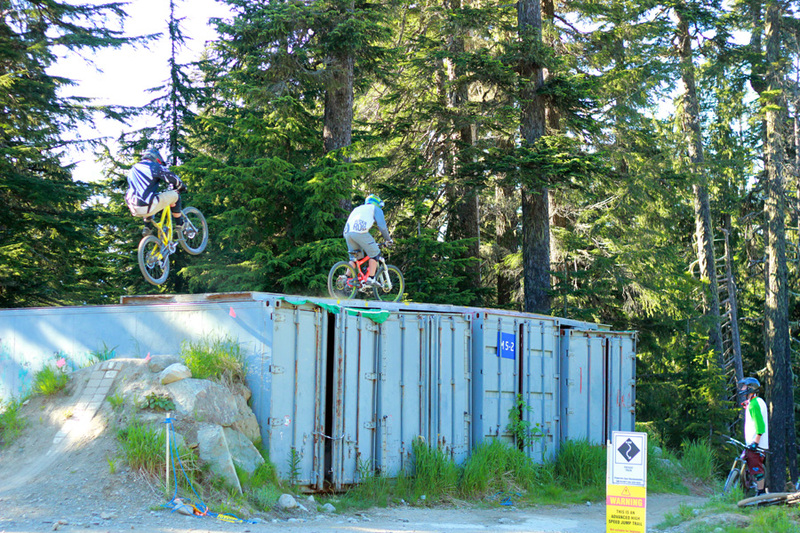 Another gem on the upper mountain: the container boxes. 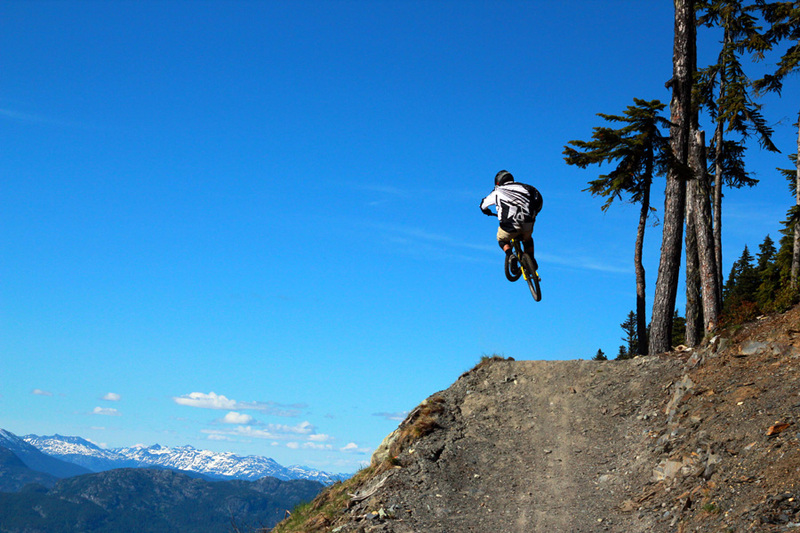 Be careful not to go too big off the other side. 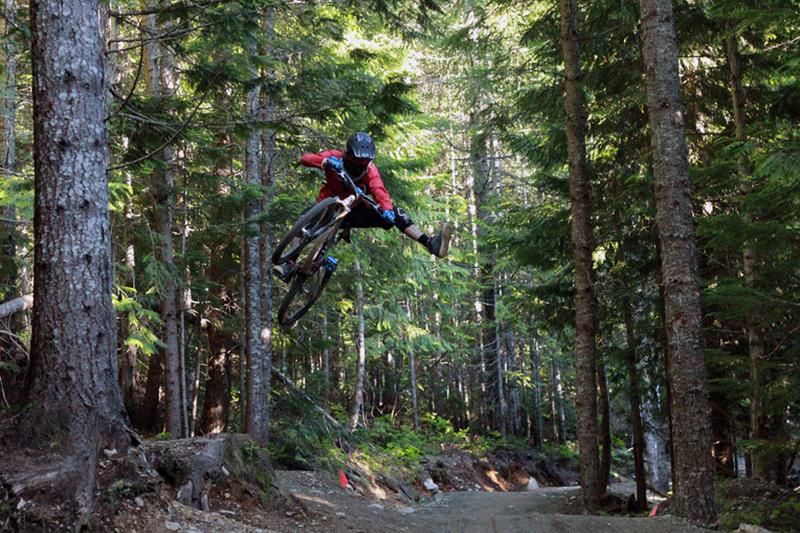 We spent most of our time on the flow trails. 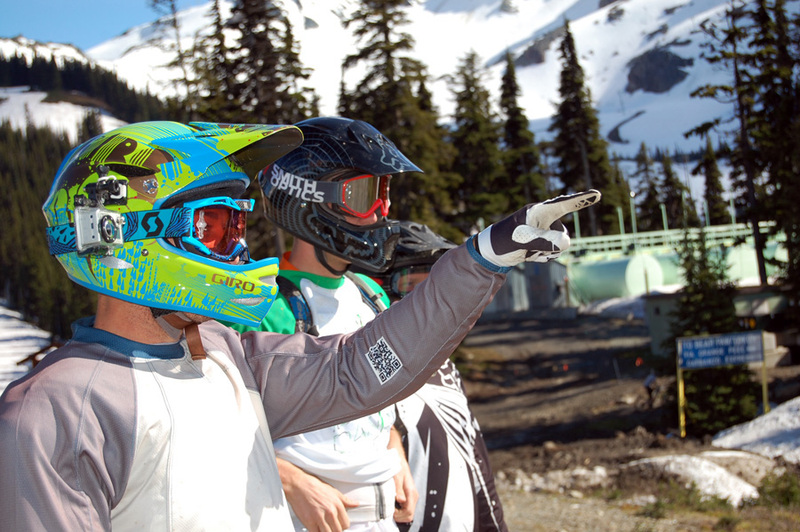 I know a lot of riders think Dirt Merchant and A-line are for sissies, but we don't drive to Whistler to ride the type of terrain we can ride at home. 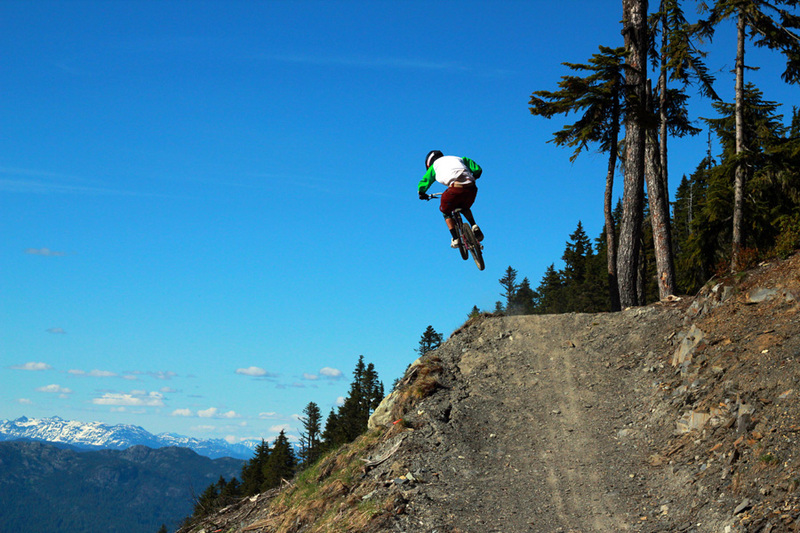 All said and done, I go to Whistler primarily for the berms and the air. 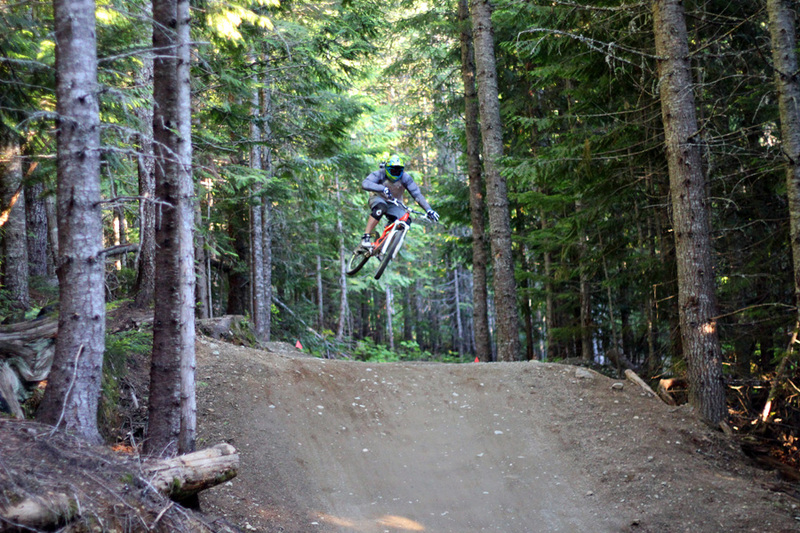 Jarel having fun on A-line. Stopped on upper A-Line to snap some photos on the big triple set. 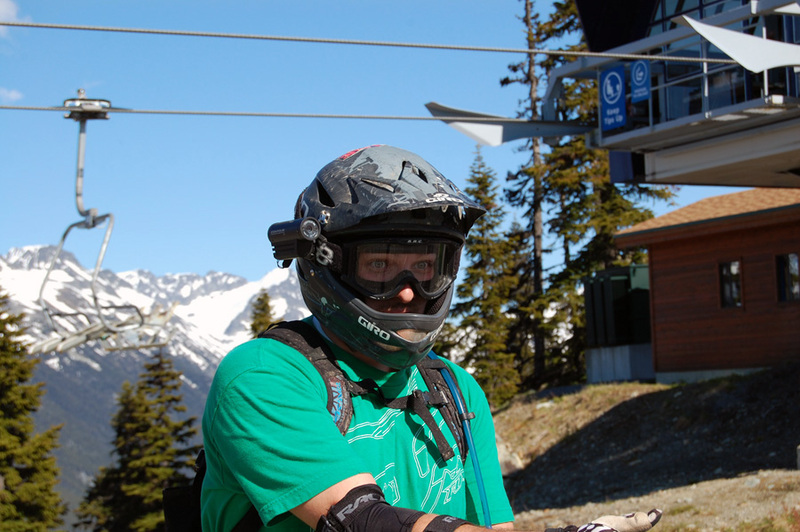 No matter how well you ride, there's always someone better. For me, my little brother Dave is that perpetual someone. He gives me something to aim for. 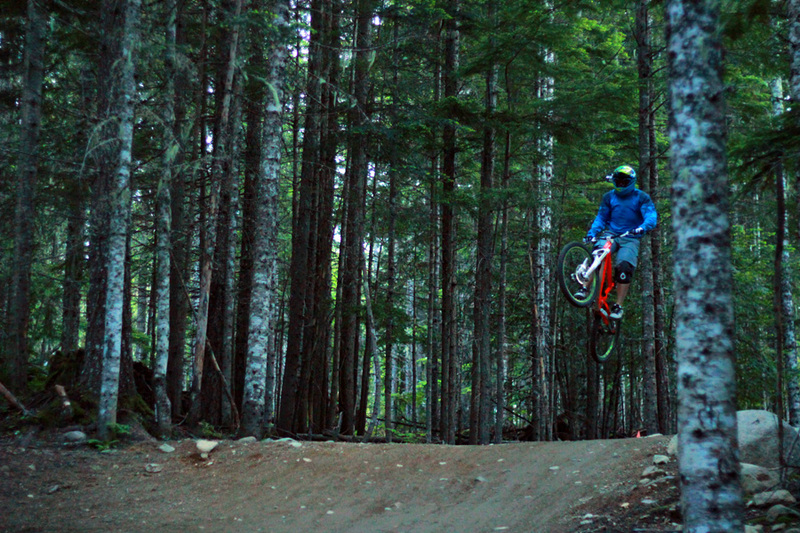 After hiking this part of A-line for a bit, Dave starts reminding us that he's a step above. And of course, the mandatory shots of the GLC drop. 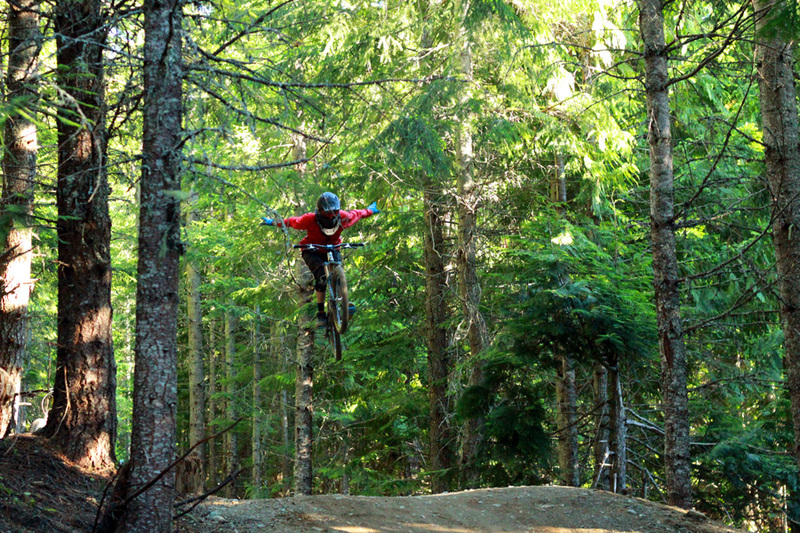 Yes, they've mellowed the landing, but you can still go just as big. It just doesn't look as gnarly. Still makes you feel like a man as you fly past all the lounging onlookers. All in all, we had a great trip. We're already talking about next time. On the drive home, there's a lot of time to think about what you did or didn't do. On a trip like this, you try to walk a fine line between pushing yourself and making sure you don't get broken off and end the trip early. 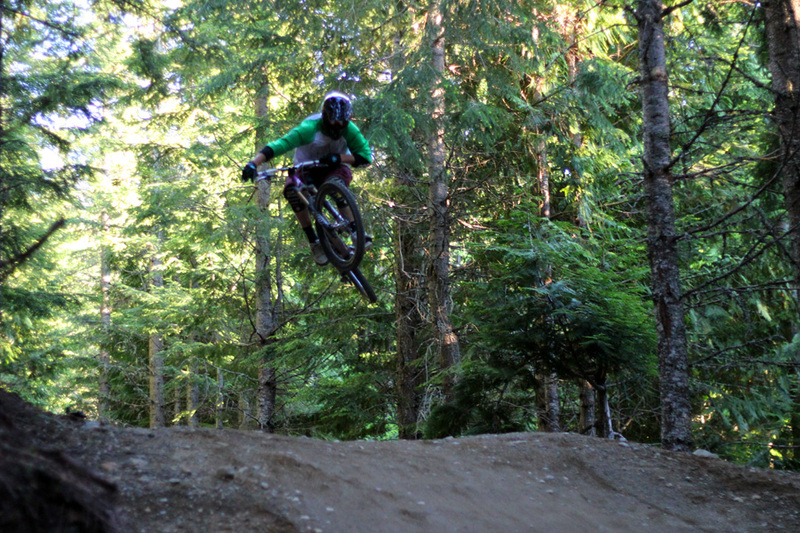 I'm happy to say that I rode better than I ever have, but I still have a couple regrets. First, Heart of Darkness. We hit this last year, but for some reason we didn't this year. It was like we were all waiting for someone to make it happen, and no one ever did. I should've. There's also a certain line you may have heard of called Crab Apple Hits. They're big. We scoped them out for a while but all eventually decided to pass. (Maybe if we had someone to follow in.) I know walking away still haunts a couple of the guys today.